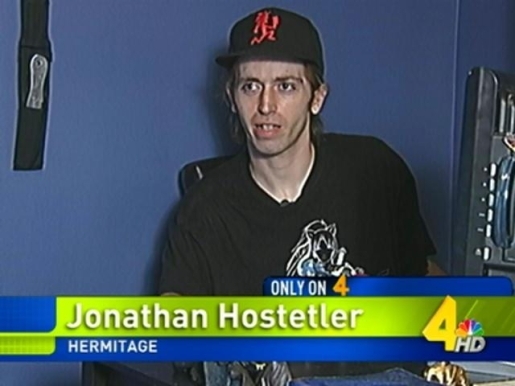 Despite having been dead since August 2009, Jonathan Hostetler is in remarkably good health. He’s applying to art school, which is pretty ambitious for a corpse entering his 9th month of post-life status. The 28-year-old man, from Hermitage, Tennessee, is fighting against the authorities after finding out he was mistakenly noted as dead while attempting to secure a school loan. As part of the process, he was told to file taxes for last year (which he did not do because he was exempt). When he called the IRS, that’s when he found out the news of his demise. Recounting the moment he learned of his demise, Hostetler says, “She kind of snickers and says, ‘According to the Social Security office, you’re deceased. '” Imagine his surprise; I guess he missed his funeral.